Southampton host Manchester UTD in an English Premier League catch up fixture on Wednesday night. 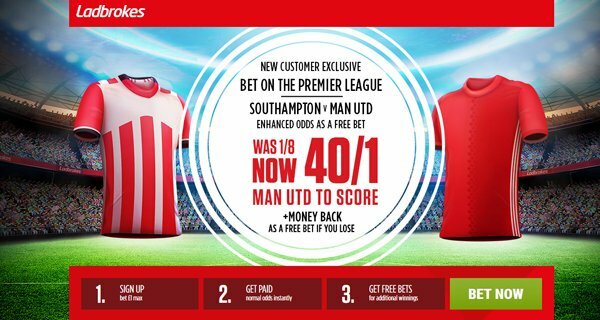 Check out here our Southampton v Man UTD betting preview with predictions, betting tips, lineups, team news, boosted odds, exclusive betting offers and no deposit free bets! Southampton ended a run of five without a win and a three match run without a goal when beating Middlesbrough on Saturday. 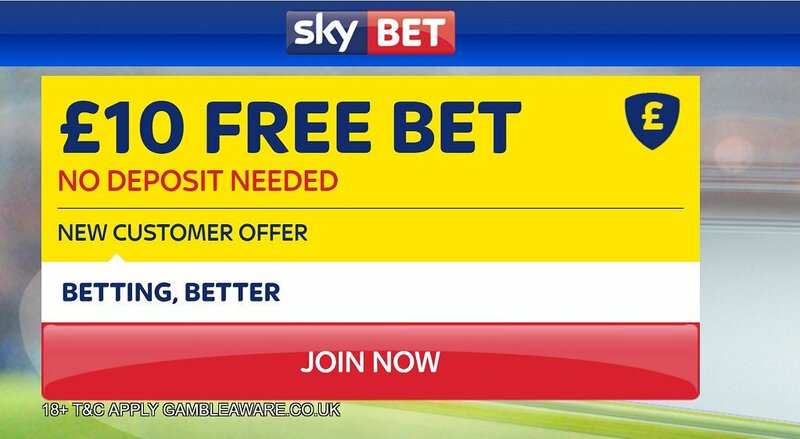 They will be keen to avenge their EFL Cup final defeat from earlier in the year and means the Saints are wedged between West Bromwich Albion and south-coast rivals Bournemouth going into the next round of fixtures. The Saints have failed to score in the last three at home which include defeats to Arsenal (2-0) and Manchester City (3-0) either side of a stalemate with Hull. Virgil van Dijk and Alex McCarthy will both miss out again, but Charlie Austin is hoping to start after returning from the bench at the weekend. He will be in contention with Manolo Gabbiadini for the lone striker berth. Sofiane Boufal was brought off at half-time on Saturday and may not be fit enough. James Ward-Prowse and Dusan Tadic were rested at the weekend, so they may both return. In defense, Cedric Soares and Jack Stephens could return in defence alongside Maya Yoshida and Ryan Bertrand while Steven Davis could return alongside Oriol Romeu at the base of midfield. Manchester United’s only main concern for the rest of this season is to lift the Europa League trophy. The Red Devils do not have motivation to push hard in the domestic competition as they will feature the Europa League final with Ajax in Stockholm next Wednesday. They were beaten comprehensively in their last two away fixtures at Arsenal and Tottenham when Jose Mourinho fielded something of a second XI. Man UTD beat Saints 3-2 in the League Cup Final and 2-0 at Old Trafford earlier this season. 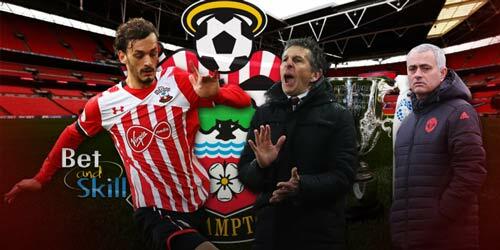 Furthermore, they have won 7 of their last 8 matches with Southampton at St. Mary's. Matteo Darmian is expected to be recalled to the side at left-back after the Portuguese manager confirmed Daley Blind will be rested. Up front, Wayne Rooney, Juan Mata and Jesse Lingard may occupy the offensive midfield spots behind Anthony Martial, although Henrikh Mkhitaryan and Marcus Rashford are also viable options. In midfield, Paul Pogba may be unavailable due to the recent death of his father. Zlatan Ibrahimovic, Luke Shaw, Marcos Rojo, Timothy Foru-Mensah and Ashley Young are unavailable due to injury. 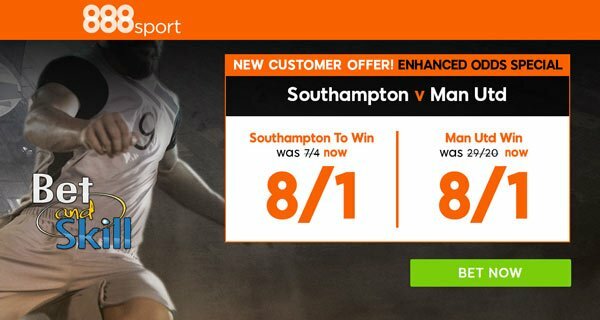 "Southampton v Man UTD predictions, betting tips, lineups and free bets (Premier League - 17.5.2017)"